New Breakfast! 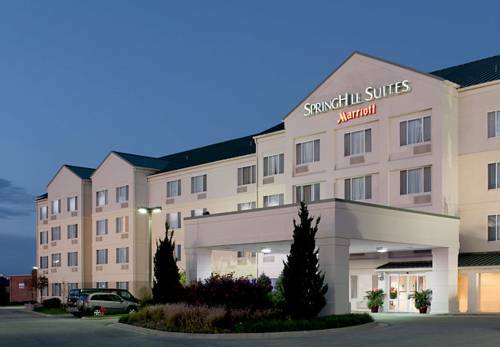 We have a whole new look at the SpringHill Suites Kansas City Overland Park! Come experience our brand-new, fresh, contemporary suites with separate sleeping, eating and work areas, so you'll have room to get comfortable! Stay in shape with our new expanded fitness room with all new equipment! . Make yourself at home with free Wi-Fi, as well as the 37" flat-screen HD TV with free HBO, mini-refrigerator, microwave, wet bar, and coffee maker. Unwind in our indoor pool or relax on the patio. Dream away on plush bedding with crisp linens, thick mattresses and fluffy pillows. Access your Netflix, Hulu and streaming channels with our guest room entertainment package. Start the day with our all new hot breakfast buffet and free newspaper. Our all-suite hotel is just down the street from Sprint headquarters as well as key offices for Ericsson, Black & Veatch, Southcreek Office Park and College Blvd. We're also close to the Overland Park Soccer Complex, Oak Park Mall &Town Center Plaza.